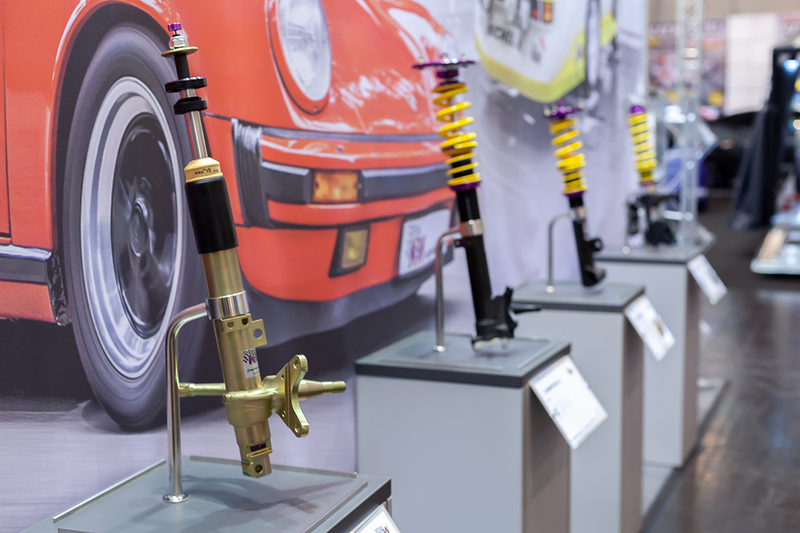 From year to year, our presence at the Essen Motor Shows becomes bigger and bigger. 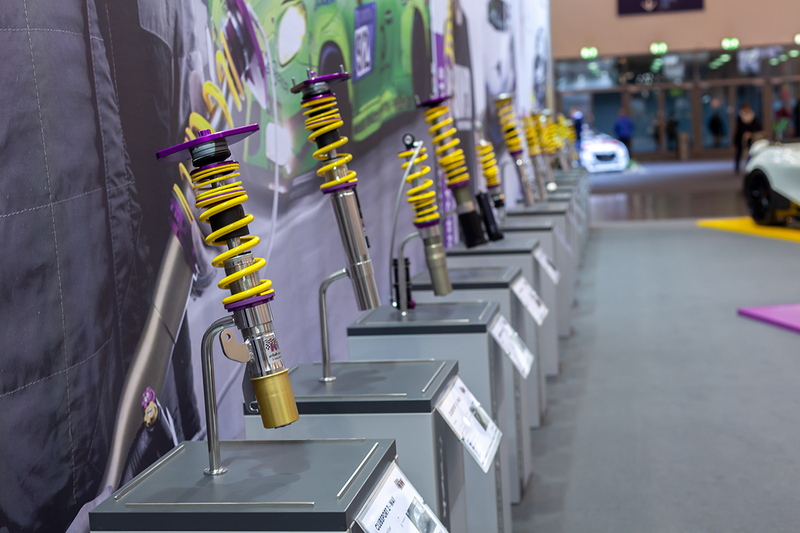 Only with our both exhibitions booth for ST suspensions and KW suspensions we filled with more than 380 square meters in the Hall! 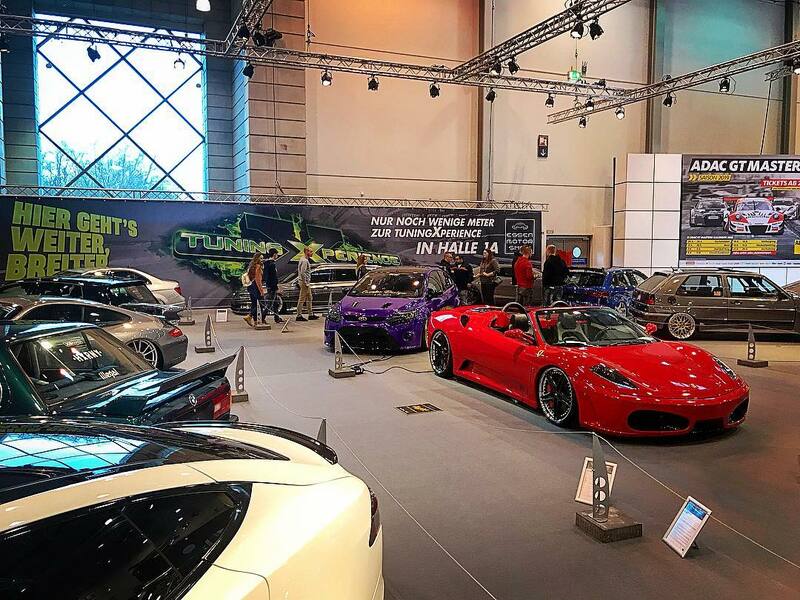 Because the first official event days of this year’s Essen Motor Show fell in the first 2018 December weekend, it went very well on our exhibition stands high. Only on the first weekend, more than 130,000 visitors squeezed according to the organizers through the show halls. 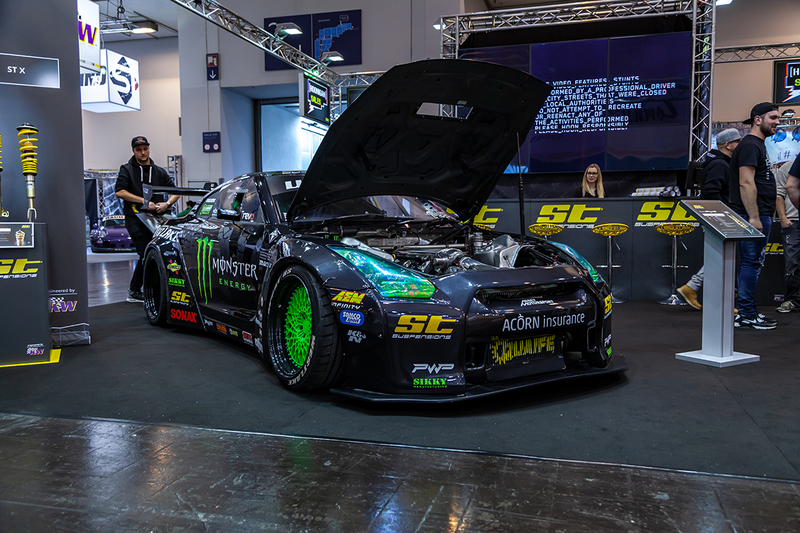 Our showcased vehicles were all in the mind of the Car Enthusiasts and motorsport fans and we put to our product categories – Track Performance, Street Performance, and Comfort Suspensions – accordingly, three show cars in the scene. 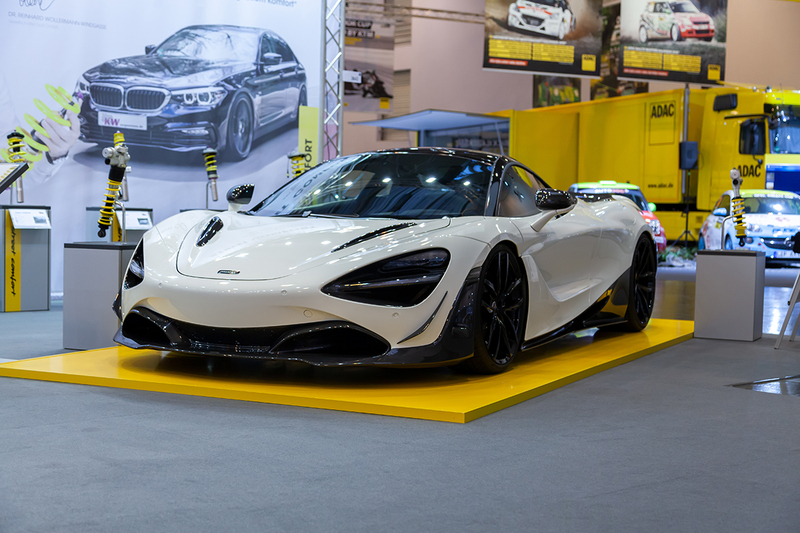 The more than 800 hp strong is the showcased Novitec McLaren 720S and was equipped with KW height adjustable springs. This luxury performance car was the perfect contrast to the first Tesla Model 3 in Germany equipped with KW Variant 3. It was the perfect idea of showcasing a Tesla on our KW booth. Finally, more than 500,000 people have already ordered the Model 3 and we would not be KW if we couldn’t offer a KW coilover suspension kit for electric-powered vehicles. And with the mounted BBS CI-R 20“ rims and the white car warp, the Tesla looks really good. As a strong sign of our successful motorsport competence, we put the new Porsche 911 GT3 Cup MR (991.2) on the black „track performance“ stage. 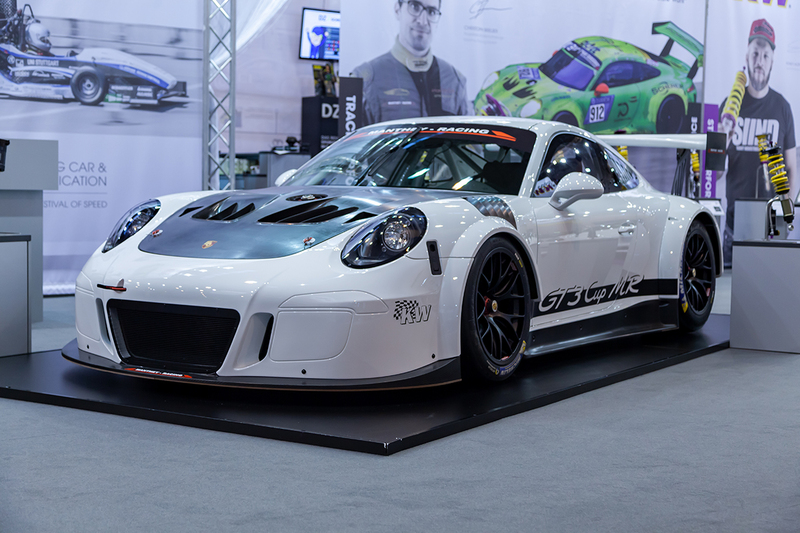 Our partner Manthey Racing developed a racecar with the best pieces of Porsche models 911 GT3 R and 911 Cup GT3. 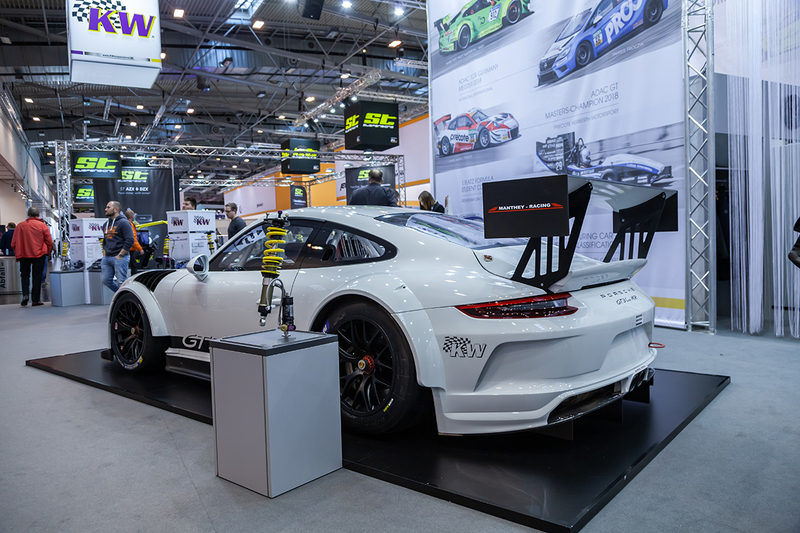 In spring, 2019 the racecars are delivered to the customer teams and in the VLN and the 24h-Race Nürburgring, the Porsche will start in the SP7 class. 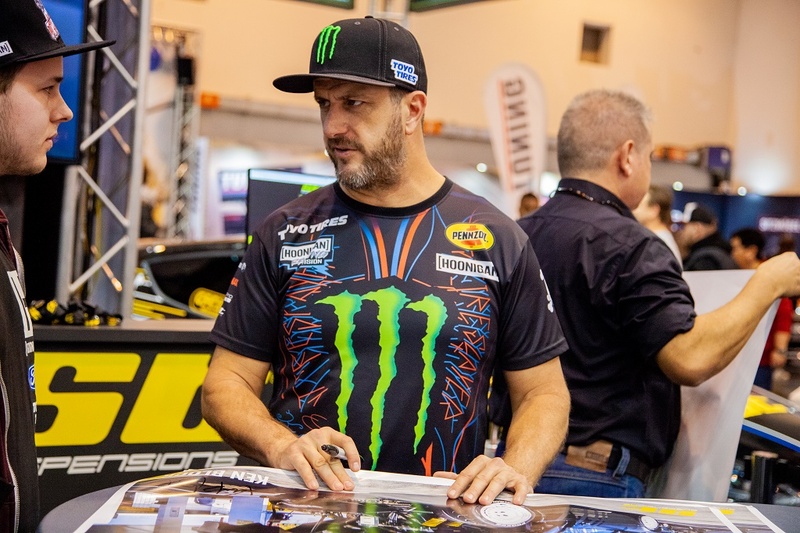 For the first time in the history of the Essen Motor Show Ken Block was staying at the fair, and he visited on December 4th and 5th the ST suspensions booth for his autograph session. Besides, Ken could still take the time to shoot a group picture with our colleagues. Another ST guest was our drifter Steve “Baggsy” Biaggioni and on Tuesday evening he battled on a Kart Race with our winners of the ST Facebook Competition. 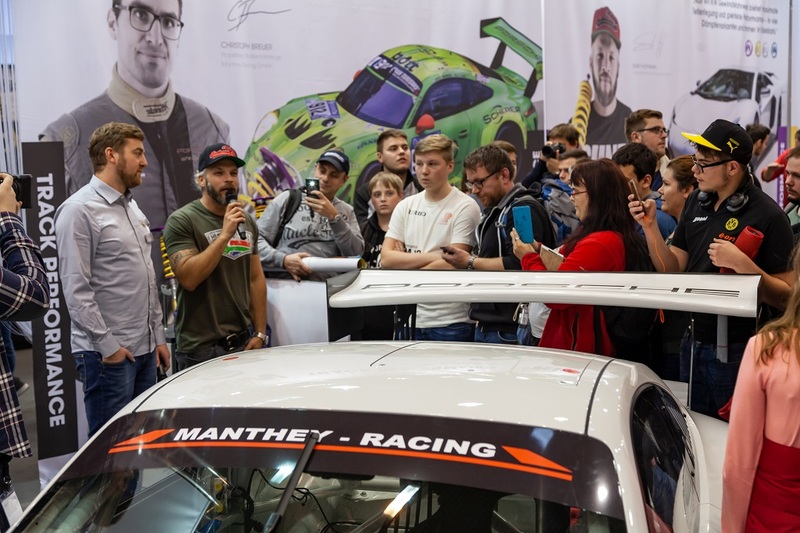 Like every year at the Essen Motor Show Sidney Hoffmann is the local hero and the Nissan GT-R of Steve “Baggsy” Biaggioni from our little Youtube video „The Driftenberg Project “ was one of the most photographed cars. 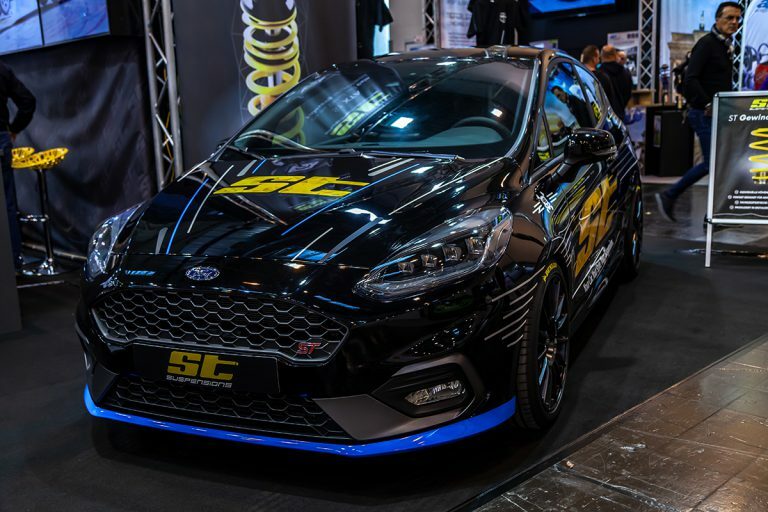 Beside the GT-R we presented the ST XTA for the Ford Fiesta ST which is one of the coolest hot hatchbacks in the market with its 200 hp 1.5-liter engine. 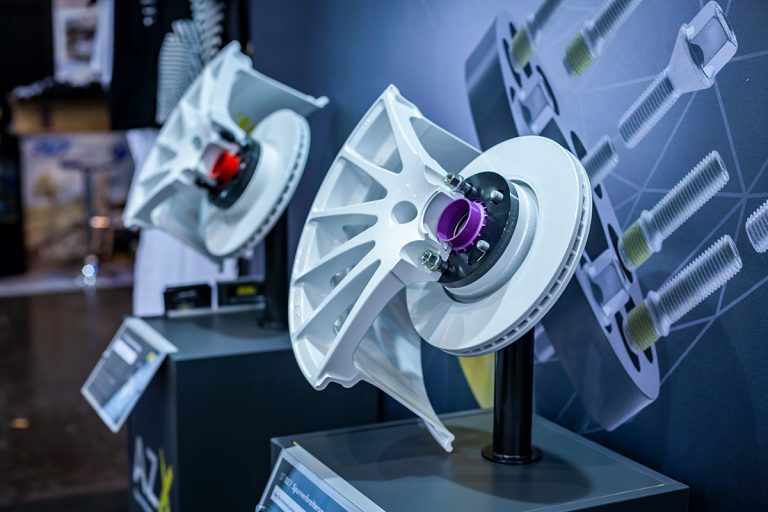 Not later than spring, the XTA will be available for the Fiesta ST. By the way, at the Essen Motor Show ST presented a new product group to the trade fair audience for the first time. 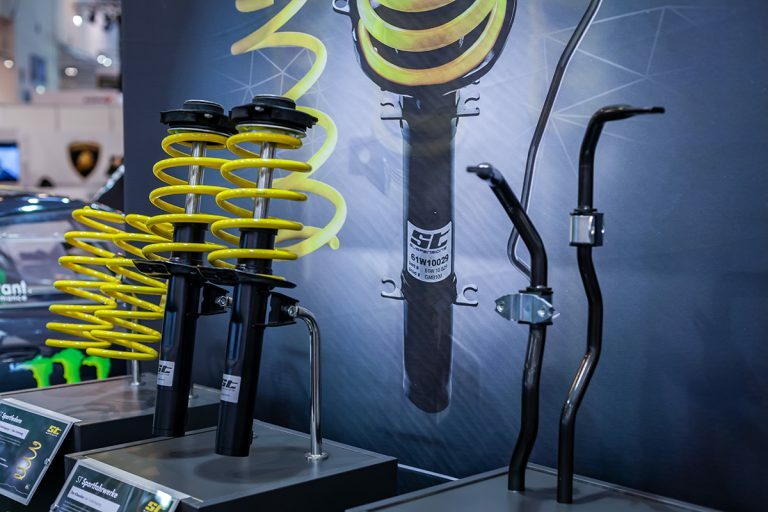 From now on ST suspensions also offers height adjustable springs for selected vehicles. 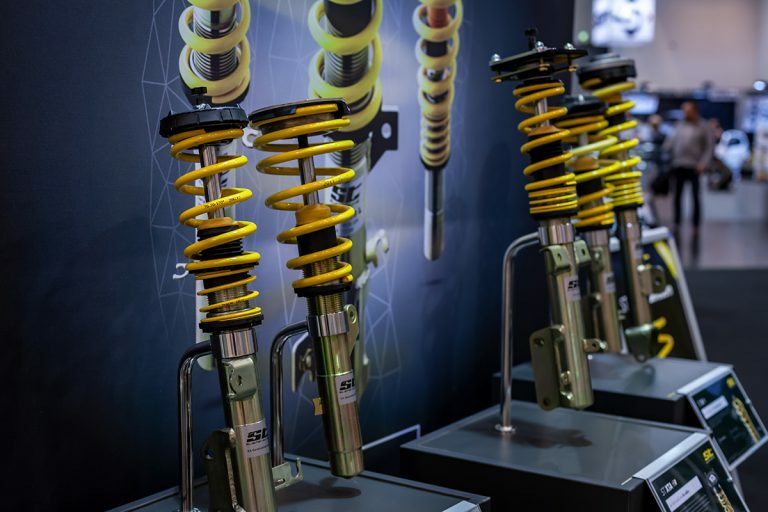 As with our KW height adjustable springs, it does not matter whether the height-adjustable springs are installed in a vehicle with a welded or plugged spring plate on the standard suspension strut. 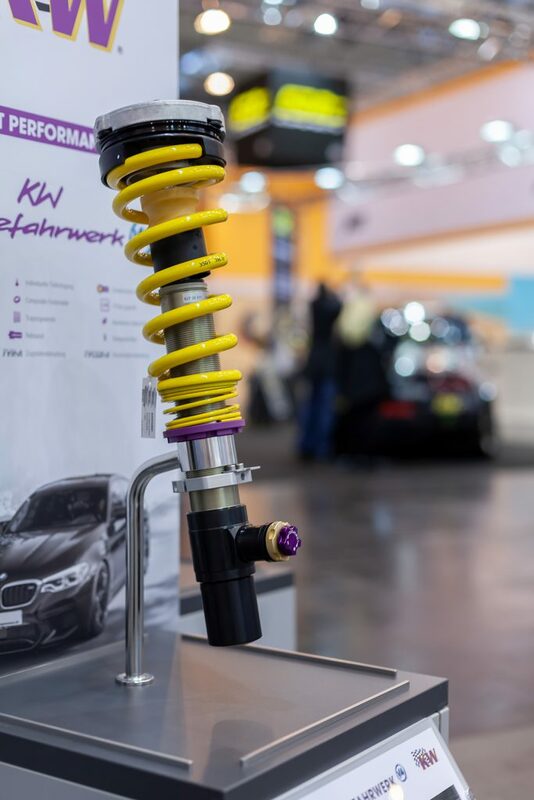 While at KW we usually offer our height adjustable springs only for sports cars (eg Audi R8) and compact class cars (eg Audi RS3), upper middle class (eg Audi RS4) and upper class (eg Audi RS6), the ST height adjustable springs will be also available for compact models (VW Golf GTI) and mid-range segment of cars (Audi A4). 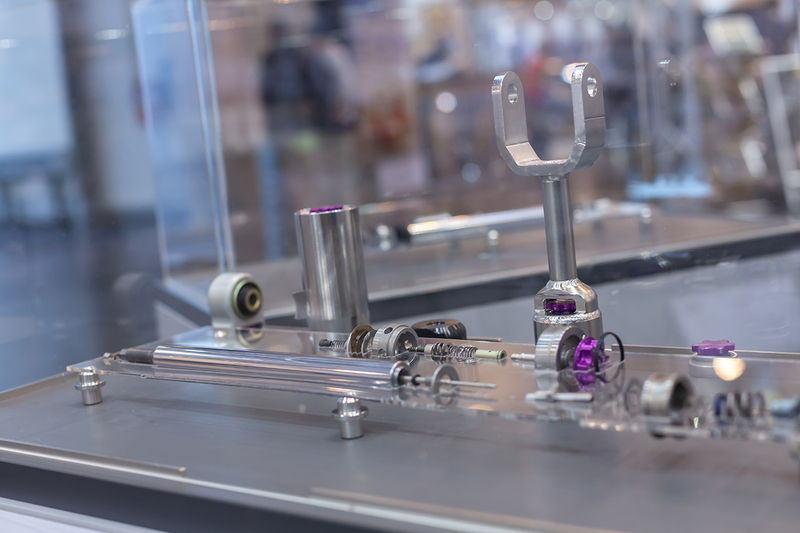 At the SEMA Show in Las Vegas, we also focused on the various KW damper valve technologies with our new showcases made of glass. 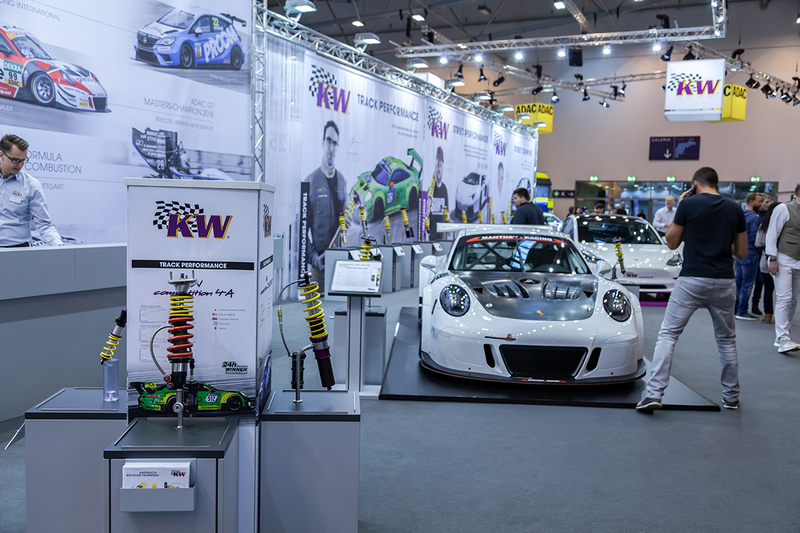 Also in Essen, we showed the inside of a KW variant 3, a KW DDC plug & play and a KW Clubsport 3-way or KW Variant 4 coilover suspension. 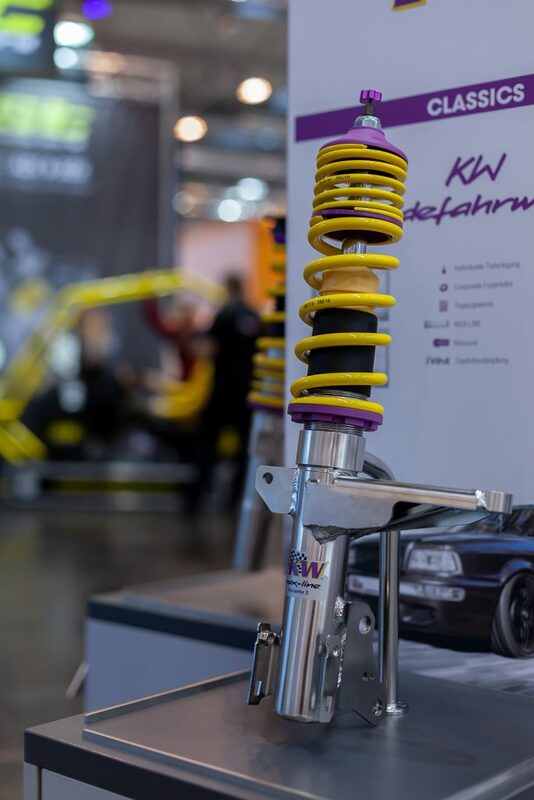 This new way of presenting our technology attracted a great deal of interest from the visitors and during our customer consultations, we were able to show why a KW coilover suspension is so unique and improves the ride of every car. 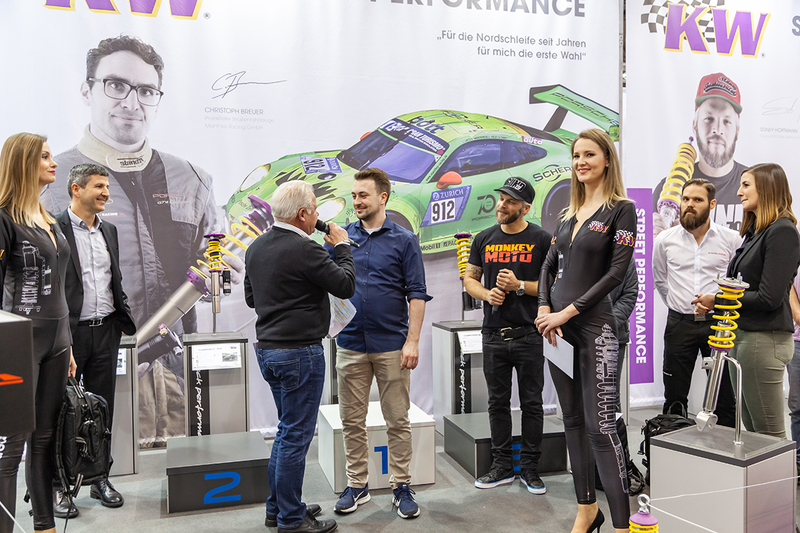 As part of the Essen Motor Show, we have been celebrating the KW Sports Trophy to the most successful KW motorsport customers on the Nürburgring Nordschleife for several years now. However, the focus here is not on the factory-supported GT3 teams, but on the numerous private teams that, with a lot of passion and commitment, make the endurance trophy so popular for all motorsports fans. 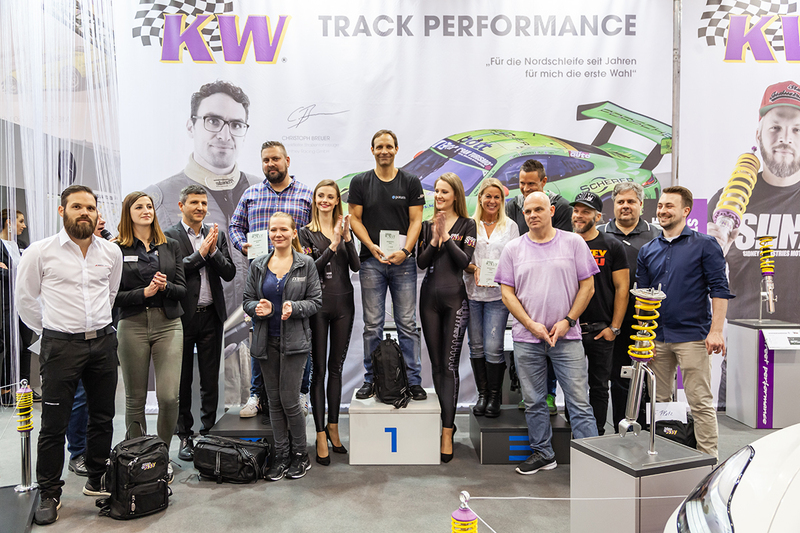 In 2018, the KW Sports Trophy went to Pixum Adrenalin Motorsport (1st place), Sorg Rennsport (2nd place), Rent2Drive Racing (3rd place), Mathol Racing (4th place), Five-Speed Racing (5th place), FK Performance (6th place), Schmickler Performance (7th place) and Team Derscheid Motorsport (8th place). What we find particularly great about the Essen Motor Show is the fact that even in times of inflationary social media and “eBay shopping sprees”, many car enthusiasts still drive to the fair, around the issued sports cars, tuned vehicles and show cars Seeing up close – which is something completely different, just to look at cars via a smartphone on Instagram.